With the right people to power it, ProSupps has surged into the marketplace. Are you a Jekyll or a Hyde? They have the pre-workout for both the man and the monster! Supplement companies, like all other businesses, are created out of a complex web of personal and economic circumstances. They fill a need, take advantage of an opportunity, and in the case of ProSupps, help keep a dream alive after a tragic loss. Founder T.J. Humphreys's company arose from the remnants of Professional Supplements, a promising company started by his late friend and IFBB pro bodybuilder Art Atwood. The new version of the company started without a single product to sell , and in just two years, was offering two dozen ergogenic aids, including the breakout pre-workout Mr. Hyde, to athletes around the globe. ProSupps is the July Supplement Company of the Month and is nominated for three 2014 supplement awards. Learn more from T.J. and ProSupps spokesmodel Jennifer Nicole Lee and see why this group of passionate people has skyrocketed into prominence! How did you meet Art Atwood and come to be involved with his business? Art and I became friends many years ago when he owned a supplement line called Professional Supplements. I then owned Lone Star Distribution, a distributor for Professional Supplements. He picked my brain, asking me how he could get better distribution through different retailers and wholesalers. I was just jumping into bodybuilding and competing. 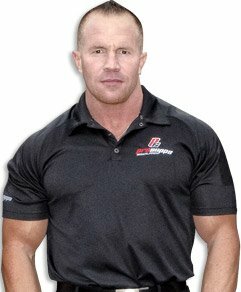 Who would be a better coach to have than IFBB pro Art Atwood? We traded notes: He taught me how to be a bodybuilder, and I helped him on the sports nutrition side. We became really good friends. He even moved from Wisconsin to Dallas on my recommendation. He thought Dallas was awesome. When Art passed away in September 2011, his family reached out to me. His sister noticed that my name came up in a lot of Art's journals. He loved to take notes about formulations and sales strategies, and he mentioned my name numerous times. When she searched for me, aside from the magazine covers and bodybuilding shots, she discovered that I was involved on the business side as well. She asked if I was interested in helping to build the brand. In January of 2012, I bounced over to take the job as CEO of Professional Supplements. 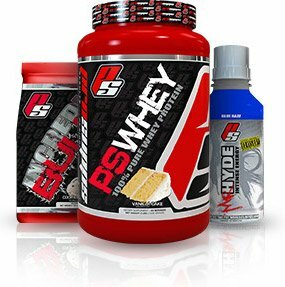 How did Professional Supplements become ProSupps? We basically had the name and nothing else to sell. When Art passed away, the one product he was selling was called Pure Karbolyn, and the company that was making it for him no longer dealt with Professional Supplements. The name was the only asset we had. I convinced my friend Brian Ikalina, who is now my VP of Sales, to join me in the business venture. We knew a bunch of guys who were unhappy where they were working, knew where Brian and I were going, believed in us and where we were going, and didn't take "no" for an answer. We would build a brand together! We started from scratch, built the brand, the logos, colors—everything. Companies want to be household names, but in this industry you need to be a locker room name. How did you grow so rapidly? When you look at our brand, one thing that guys and girls put a lot of trust in is the brand identity. When people talk about ProSupps in the locker rooms it's a brand that speaks to quality and efficacy. The message starts with the way we brand the products and market them and finishes with the way they work in the gym. We were one of the first companies to put agmatine sulfate in our pre-workout powder. We were the first to use three different kinds of caffeine, because one of the main criticisms people get from taking pre-workouts is that they come crashing down after taking it. We knew what we wanted to formulate and we knew which ingredients to use to make our products superior to all others. "The message starts with the way we brand the products and market them and finishes with the way they work in the gym." It doesn't matter how pretty the product is. If somebody buys it, takes it, and it doesn't work, your lifespan in the business will be short . We knew coming into the business that we wanted to win over our customers with effectiveness--by making our products work. That provides long-term value and success of the brand. You have two pre-workout products, Dr Jekyll and Mr. Hyde. How do they differ? There are huge differences. We wanted to have two pre-workouts because we felt like there was an audience that wanted them. There are either two different audiences, or there is a consumer who likes the benefits of two polar-opposite pre-workouts. 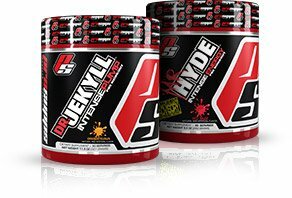 Dr Jekyll was built as more of an endurance, pump-type formula with low stimulants and low caffeine. It's for somebody who likes to get energy without lots of stimulants. Mr. Hyde is for people who are most effective in the gym environment with a high-stimulant formula. We answered both calls. The characters' storyline plays perfectly into how those two products worked out. Mr. Hyde is your animalistic side, with tri-source caffeine, yohimbe, pikatropin, and agmatine sulfate. If you take it once, there's nothing that you could take today, yesterday or years from now that could compare to it. With Mr. Hyde, we built a product that is unmatched. We wanted to make a pre-workout that wasn't just a bottle full of stimulants. That's an inexpensive way to get people an immediate kick, but from a performance standpoint it doesn't answer the call. We added ingredients that supply an athlete with a performance matrix. 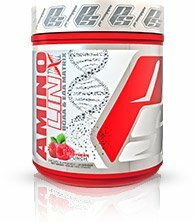 Should users cycle off of your pre-workouts, or just switch back and forth between the two? If someone has an interest in cycling off a high-stimulant pre-workout, Dr. Jekyll is the perfect fit. That said, because Mr. Hyde has three different kinds of caffeine, two of which are time-release, desensitizing your receptors isn't as big a risk as a product that just uses a high dose of one kind of caffeine. A lot of people stack the products! Because Jekyll is a pump formula, a lot of our guys—including myself—will take a scoop of each to get both a pump and a stimulant matrix. How do you balance transparency and with a desire to protect your flagship products' formulas? It is important we make any stimulant-based product to be totally transparent. If you're a performance athlete—and a lot of our customers are—you want to know how much caffeine and yohimbe are in it so you know how much to hydrate before an activity. In other products, like Halotropin, which is a natural test booster—the formula was developed by Art Atwood himself. That product has a proprietary blend, since used a very unique ingredients in specific dosages that make that product work. Unfortunately in this industry there are a lot of knockoff products. The formulas can be very similar. Trusting them is hard. When you are looking for transparency, you want to know what is going in your body; that is why we made the investment in a manufacturing facility. Less than 5 percent of brands can boast that they have complete control over their manufacturing. I wanted to have those controls and safety benefits in place. I wanted to make sure that we were completely compliant in every aspect of the business. If you were to come to my facility in Allen, Texas, I could put you in a lab coat and walk you down the line to see your Mr. Hyde, Halotropin, or Dr. Jekyll, or AminoLinx being made every single day. What are some of your newest products? We just launched PS Whey, which has been a huge success on Bodybuilding.com and a weight gainer called IncrediBULK—it was totally fun to come up with that name! Then, of course, Hyde RTD. These are some of the best advances in the industry, and I've been in it for 15 years. The Hyde RTD has taken the consumer market by storm. When you look at our brand, people truly love what we are doing and what ProSupps means to them. I get daily emails from consumers who love what we stand for. That's a rare thing these days, when you have hundreds of different brands, to have consumer embrace the vision of the brand, the marketing, and the people behind the brand, it fuels all of us. It keeps us going. You were a staple on Bodybuilding.com for years. What have you been up to lately? I just love Bodybuilding.com! It's the number one online community for all things health and fitness related, chock-full of great information and inspiration! I have been blessed to be featured many times on Bodybuilding.com. I've been busy! I have authored lifestyle and fitness motivational books, now have a globally recognized accredited workout method called JNL Fusion, and appeared in a blockbuster hit movie directed by Michael Bay starring Mark Wahlberg and Dwayne Johnson called "Pain & Gain." I still run my online fitness studio with a presence all over the world, and now I'm proud to say that I have become the official spokesmodel for ProSupps! You made your mark in fitness long before ProSupps existed, why join its ranks? I have a solid 10 years-plus in the fitness industry, with more than 73 magazine covers and many exercise DVD productions. I've traveled around the world promoting fitness and products. I don't say this to impress you, but to impress upon you that hard work always pays off. You have to earn your stripes, and never give up on your dreams, passion and always do what you love best! "In order to be successful, you have to surround yourself with the best team and companies in the world." In order to be successful, you have to surround yourself with the best team and companies in the world. This is where ProSupps comes into play. It is the fastest growing supplement company in the world, a brand built from scratch through pure passion. I admired how ProSupps is committed to providing the highest quality products possible through its highly skilled team and dedicated experts. I am honored to be the Official Spokesmodel for ProSupps. I coach and consult with VIP clients around the world. ProSupps has everything to offer in a complete line of lifestyle, fat loss, and muscle-fueling products. I listen to their fitness and wellness needs, and then I am able to create an amazing supplement plan for them—all from ProSupps. Which ProSupps products have you taken? What's your favorite? "Never give up. Success is just as simple as that." I depend highly upon our newest "star" product, the Mr. Hyde RTD. I love the ease of use and the design of the product. It gives me the right dosage in one container; it's mess free, fuss free, and clump free. I also love Vanish for my energy management. It's much more than a fat-burner. It gives me mental clarity and a mood boost as well. The TC-F Whey Isolate is my go-to protein source post-workout. When I'm writing, or have to be on set for long hours, I rely upon iFocus to help me stay highly focused and truly engaged on what is going on-helping to keep my attention and stay in the moment. What is your most important fitness tip? Never give up. Success is just as simple as that. When you don't give up and you don't quit, you will end up being successful! So keep at it and never stop! Repetition is the mother of skill. You can't work out once and then be fit the rest of your life. Fitness is a journey to be enjoyed, not a one-time event. So have fun with it! Treat yourself with the best ProSupps supplements and your mind, body, and spirit will thank you. Make it fun, try new things, and enjoy the ride! Always believe in yourself. When I was 70 pounds overweight, I tried to lose the weight over and over again, only to gain it back, and no one believed in me. It wasn't until I believed in myself that I was able to "unzip my fat suit" and finally achieve my fitness goals, and maintain my weight loss success. There are no excuses. If I can do it, you can do it too!